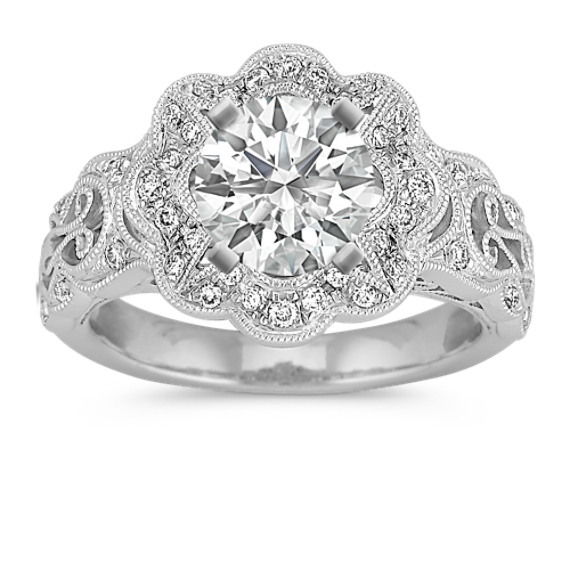 Adding a modern spin to the halo design is this spectacular halo engagement ring. This design is part of our exclusive Couture by Shane Co. collection and also possesses a vintage feel. Fifty round diamonds, at approximately .34 carat total weight, are crafted in quality 14 karat white gold. A 1.00 carat round diamond is a lovely choice to complete this setting.